Torres del Paine National Park is in the heart of Patagonia in Southern Chile. It is a must see location if one is in the area. The park entrance fee is around ~$40 (18,000 pesos) and transportation to the park from Puerto Natales will set you back another $20 – 30 USD and take 2 hours. 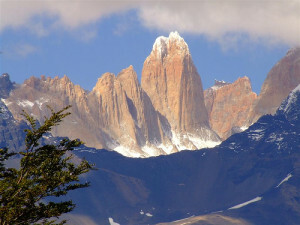 The must see locations in Torres Del Paine can be split between the must see day trip and the must see multi day treks. The boat trip to Lago Grey is supposedly amazing. You pick up the boat at Hotel Lago Grey and stop at Refugio Grey. 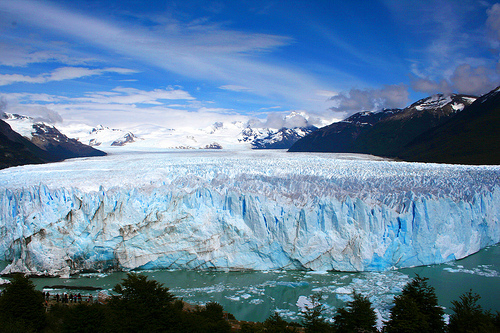 Many of the tours will then go for a half-hour to multi-hour hike on the Glacier where you will then return to the boat for your trip back to Hotel Lago Grey. If you simply did the boat ride, it would take 3 hours to complete. The boat leaves at 8:00, 12:00, 15:30, and 18:30. Leaving on the last boat is recommended if want some amazing pictures during the “Golden hour.” The cost is about $80 – $100 dollars (40,000 pesos for RT). It is only 35,000 pesos if just want ride from Refugio Grey to Hotel Lago Grey, which is most likely if you hike on one of the circuits. During the high season, it is considered that you book your tickets in advance. If you don’t want to spend the money, you do have the ability to hike around the lake to Glacier Grey. The hike is a total of 18km (return). The hike takes around 5 to 7 hours. At the end of the hike, you will be at the base of Las Torres. You can hike this route without a guide. One of the most popular multi-day hikes in Torres del Paine is the “W” Circuit that takes 4 – 5 days. You can do this multiday hike by yourself or with a tour operator. If you go with a tour operator, you will be spending north of $1K+. Most people hike from east to west. They arrive from Puerto Natales and start immediately on their hike. It is increasingly becoming more popular to go from West to East. If you went this route, you could see the sunset and sunrise over the glacier. Should I stay at camps or refugios in Torres del Paine? You have the opportunities to stay in refugios that are like a hostel at a cost of $40 – $60 per person per night. This does not include the cost of sheets, pillows, and/or blankets. The alternative option would be to go camping at a cost of about $30 for two people. In short, this means the difference between $30 vs. $80 – $120 for the cost of two. You can also purchase food at the refugio, which is not that cheap as well. It is roughly $10 for breakfast, $15 for lunch, and $20 for dinner. This is the cost of $45 per day per person for food. This would mean a total cost of $180 for food. In short, it depends on comfort vs. money. If you don’t want to pack a stove, tent, and food, you can stay in refugios and purchase their food, bring everything, or something in between. The most expensive options of staying in refugios and having them cook you dinner will set you back ~$760 for two people ($380 per person) vs. $120 for two ($60 per person) for those renting tents from refugio and bring your own food. Most of the refugios are owned by FantasticoSur and Vertice. FantasticoSur owns most of the refugios. It was recommended from several people that it is best to purchase directly from their websites as trying to buy them on site from agents that charge a crazy service fee. The “O” Circuit takes 7 to 9 days and goes behind Torres del Paine. From my research, it is popular, but it not as popular as the “W” Circuit. The main attraction beyond the beauty of the landscape is that you are away from all of the crowds. When is it best to hike in Torres del Paine? Mt. Fitz Roy then you will be based in El Chalten. The two towns are about four hours from one another. The entrance to the park is 130 Argentine peso ($25 USD). The entrance fee will allow you to spend one day in the park without camping. You will need to leave the park by 10 p.m. The boats depart from the Bajo de las Sombras Port. 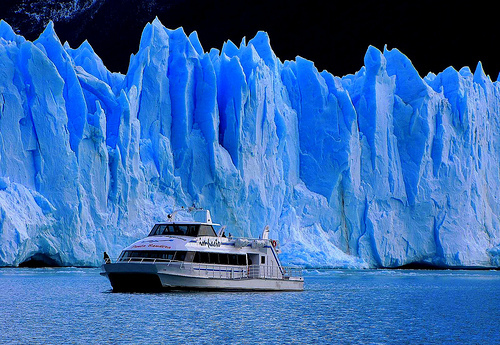 The most popular activity is to go on a boat ride to see the Perito Moreno Glacier and then a hike on the Glacier. One of the operators most consistently mentioned was Hielo y Aventura. They have one trip called “Mini Trekking” that goes on the ice for one hour and forty minutes and another “Big Ice” that goes on the glacier for 3.5 hours. The “Big Ice” trip costs $100+ per person. Though, I didn’t see it on their website. One other popular activity is the Fernandez Campbell All Glaciers boat tour. I did some people complain that you are on the boat the whole day and only see a couple of glaciers with one being the Perito Moreno Glacier. If limited time, I would probably just do the “Mini Trekking” or “Big Ice” Tour. If you go further north in the park and base yourself in El Chalten, you can go see Monte Fitz Roy. In the north, it is the most common to go on various treks. The most popular hike in the region is Laguna de los Tres. It takes anywhere from 7 to 10 hours. Most people will travel to Punta Arenas on their journey to Torre Del Paine. From Buenos Aeros, it is one of the cheapest options. The main attraction in Punta Arenas is a trip to the Otway penguin colony. At the colony, there are hundred of Magellanic Penguins in the spring to give birth. You can take a tour or get a taxi to take you there for $100 USD. The penguin colony is about an hour from Punta Arenas. Some of the recent posts on TripAdvisor indicate that they were disappointed that they did not see more penguins than they saw. You can take an organized day trip to the place or drive their on your own. If you want to see a bigger penguin colony then you can travel to Isla Magdalena. Most of the organized tours take about 5 hours. It is 4 on the ferry (Austral Trans Broom) there and back with 1 hour on the island. You can reserve the tickets the same day. One of the operators is Solo Expediciones, but there is mixed reviews about this company. If the weather is windy or not enough people it appears that they will cancel the trip. It will cost about $50 per adult or $25 per child for the ferry ride. The boat rides in the Beagle Channel are highly recommended in the summer. You will have the opportunity to see whales, sea lions, and penguins on the journey. Most of the boat trips are 4 – 6 hours in length. Patagonia adventure was mentioned by multiple people as a reliable operator. One of the best hikes is climbing up Cerro Guanaco. It is a 4 km uphill climb where you will be 970 meters above sea level. The view from the top is amazing. It is the hardest hike in the area. Some of the more moderate hikes would be Hito XXIV, Pampa Alta, and Costera that take anywhere from 2 to 4 hours. These trails are mostly flat. Lapataia Bay was also highly rated by a number of individuals. You could also hike the Glacier Martial, but it will likely be a disappointment compared to the glaciers in Torre Del Paine and Los Glaciers National Park. When doing my investigation, there is also an awesome option of getting on a ferry from Puerto Natales to Puerto Montt on a ferry (Navimag’s MV Magallanes) allowing you to see the Patagonia fjords. It is a 4 day / 3 night adventure. The prices vary from $315 for a level C cabin where you share a berth with 20 others to $1960 for a single person in Cabin AAA. The website is www.comapa.com. You must be on the ferry before 9:00 pm on Monday with the ferry leaving early Tuesday morning. You arrive late Thursday and disembark on Friday. The cost is $280 one-way USD for this trip. People only complained when the weather was not nice and because of the cost. If I had never been to Buenos Aires, I would likely spend at least 2 nights in the city. I would then leave on a flight in the late afternoon to El Calafte to not waste a day traveling. If I could travel from El Calafte to Torre del Paine and complete 1 day of the circuits that would also be ideal to save another day. As for Ushuaia, I think it depends if I have gone to Antarctica. I think it makes most sense to travel to Ushuaia when going on your Antarctica adventure.